Art, in all of its forms, is a reflection of the creator’s "soul." One glance at the art of Mohammed Al-Hawajri is enough to take you on a journey to his homeland, the homeland of all Palestnians. 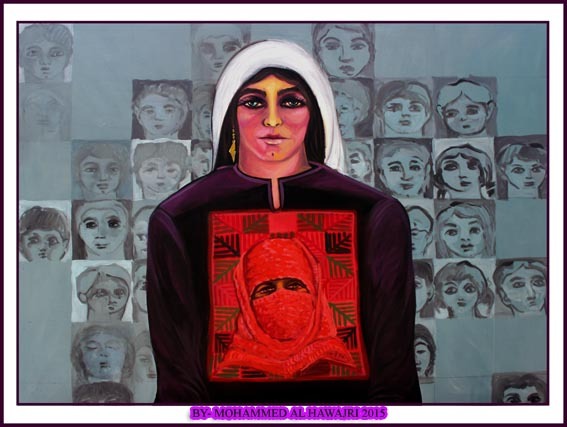 Al-Hawajri is a Palestinian artist from Gaza's Al Bureij Refugee Camp. He learned art not from school, but by practicing it--first, when he joined a workshop at the YMCA. Then in 1999, 2000 and 2001, he participated in the Summer Academy held at Darat Al-Funun (Khalid Shoman Foundation) in Amman, Jordan, where he won a first-place award. In his work, he strives to balance his dreams with a reflection of the grim realities of life in Gaza. To do so, he uses various unconventional materials, such as plants, animal bones and spices. 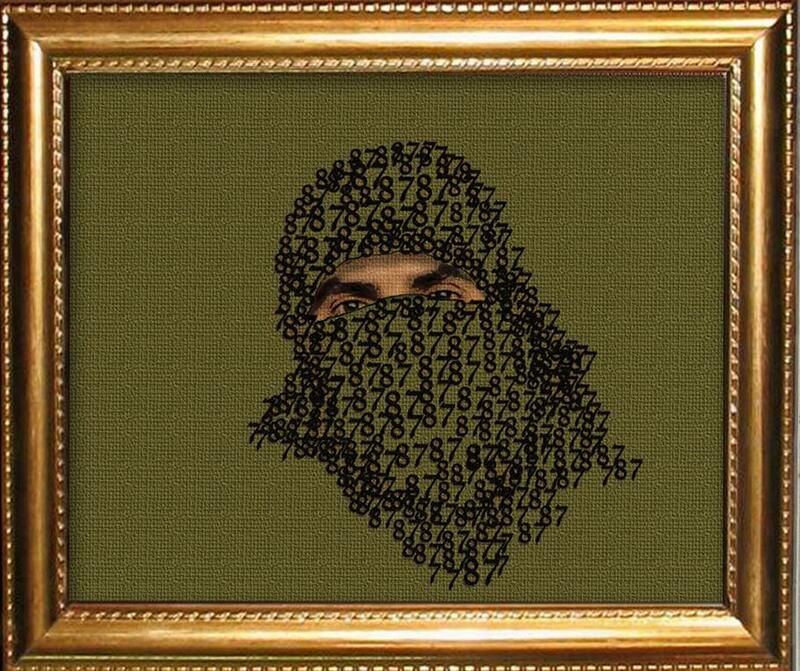 Al-Hawajri’s art “presents an intimate and personal portrayal of the status quo” as he puts it. While some of Al-Hawajri’s art is a reflection of the status quo, other pieces are a celebration of Palestine’s history and culture. One such piece is called "Fabric of a Homeland." It was made using a sewing machine, illustrating the iconic Palestinian keffiyeh (checked scarf made popular by Yasser Arafat). The number 87 represents the start of the First Intifada in 1987, a popular Palestinian uprising against Israeli atrocities in which Palestinians adopted unarmed resistance and civil disobedience. 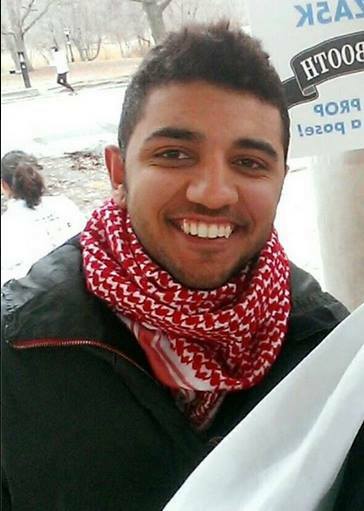 Wearing a keffiyeh around the face to hide one’s identity when protesting was an often-used technique. "The Fabric of a Homeland"
Al-Hawajri believes traveling is an essential part of the life of an artist, opening new horizons of learning and knowledge. Unfortunately, however, travelling has become a struggle in itself for Palestinians in Gaza and a distant dream for many, due to the nine-year Israeli blockade and the closure of the Rafah crossing along the Egyptian border. Gaza. 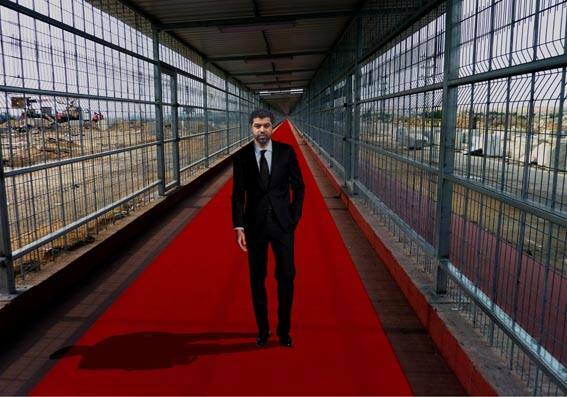 Here, he is shown in the long, scary tunnel that marks the Erez crossing from Israel. Mohammed is from Gaza and he is not a number. Please donate to keep this project going.